As most healthcare practitioners know, it’s always a challenge to understand different grey areas within the industry. Most of us don’t want to lose out by over-paying when tax season comes around. If you’re unaware, I will be the first to tell you that having an experienced tax advisor could save you millions of dollars over the lifespan of your practice. Not only can this 1 simple move save you millions, but it can set you up for success if you ever decide to sell your business or pass it along to the next generation. Hiring the right tax advisor is one of the smartest decisions you can make because it opens the door to higher quality opportunities. IN THIS EPISODE I INTERVIEW THE MANAGING ATTORNEY OF SHAH & ASSOCIATES AND THE WEALTH OF KNOWLEDGE I RECEIVED COULD SAVE YOU MILLIONS. 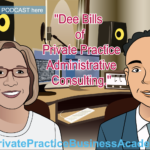 Sit back and listen to the insights of what every successful practice owner should know. 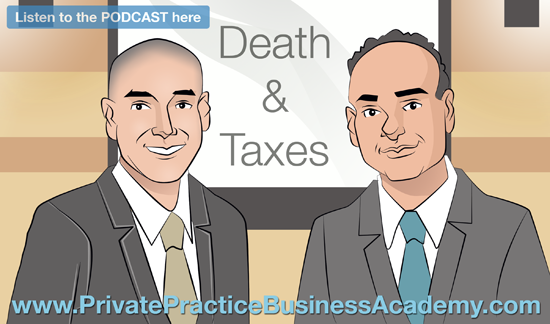 If you’re a physical therapist thinking “I just pay what my accountant tells me”, then this episode is definitely for you. Recently, I read an article on LinkedIn where a new grad wanted to open a private practice. She asked what about the yearly income of a practice owner. However, I’m glad that she asked it. Of course, the answers were typical, but the new grad came to a shocking conclusion: She could make the same income as an employee over just a couple of years! I found this information quite disturbing. It’s true that a practice owner could have a really bad year, but there is simply no way an employee can “earn” more than a practice owner, because as an employee, your salary is eventually capped. In addition to this, you have to pay taxes on your salary with no significant write offs. I’ve made it my goal to engrain a deeper understanding of the phrase “it’s not what you make but what you keep”, within all of my followers. However, as you will see in this podcast episode, there are many levels to this conversation. That’s why I always recommend that you consult with professionals such as Neel and his sophisticated network to ensure that you are always making smart and strategic moves in your business. Do you own a job or do you own a business? Will your practice survive without you being present? Do you have systems and sound procedures in place? Do you have a management team in place that can actually run the business and team without you? Many practitioners do not ask themselves these questions. However, answering these questions and putting them to work for you can lead to more income, freedom, and ultimately, more a happier life. 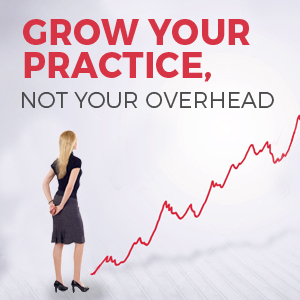 Fortunately, these simple questions are only the tip of the iceberg for you and your practice. 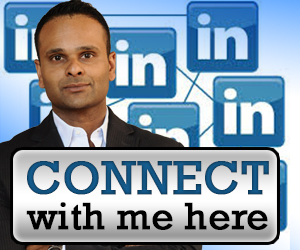 Tune in and listen as I pick the brain of someone who is a true expert at creating these solutions for your business. 13:11 Can one practitioner open a practice with another practitioner? 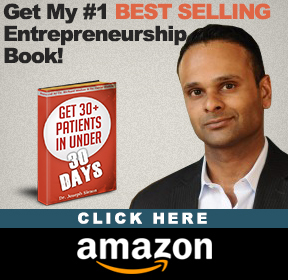 19:49 What is the most common buy out strategy doctors should think about these days?